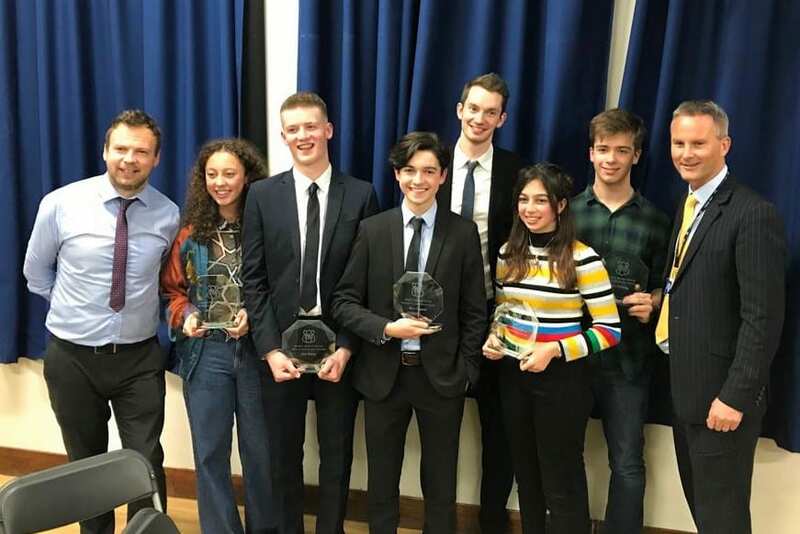 Thursday 22nd November saw North Bridge House Senior Hampstead’s class of 2018 return for the school’s prestigious GCSE Awards Evening. Following a summer of GCSE success, having secured a huge 34% of the top grades 8-9, NBH Senior Hampstead graduates regrouped to recognise their individual achievements. With parents and teachers in attendance, awards were given for each subject as well as overall awards for student leadership, achievement, endeavour and spirit. “It was a wonderful, heart-warming occasion. Patrick much enjoyed seeing everyone again and was thrilled to get an award,” said mother of 3D Design award winner, Patrick. We are very grateful for the lovely parent and pupil feedback and thank you all for making the GCSE Awards Evening 2018 a truly special event. See parent comments about the GCSE Awards Evening below. We are bowled over and so happy. Everything John gained at North Bridge is with him, as he goes about, it’s clear to see, but his GCSE Achievement award is a great honour and beyond everyone’s expectations. He said at the Awards Evening that his time at NBH was the best, most unforgettable 5 years. We would like to say a huge, huge thank you to the wonderful team at NBH Senior for all that you have done for the class of 2018. From your inspiring teaching, to preparing them for exams, all the school trips/residentials, the school prom, the Awards Evening, the amazing support that has been offered throughout the years…. the list goes on. Celia had a truly wonderful time and for this we thank you. We came away recognising that Eabha’s teachers had completely invested in all the kids, both emotionally and academically – a rare experience. Eabha says that Mr Hall’s words of ‘Remember the hard work it took to get your GCSEs,’ were like a light going on and an incentive to achieve in her A Levels. Thank you to everyone who helped support Eabha during her time at NBH.